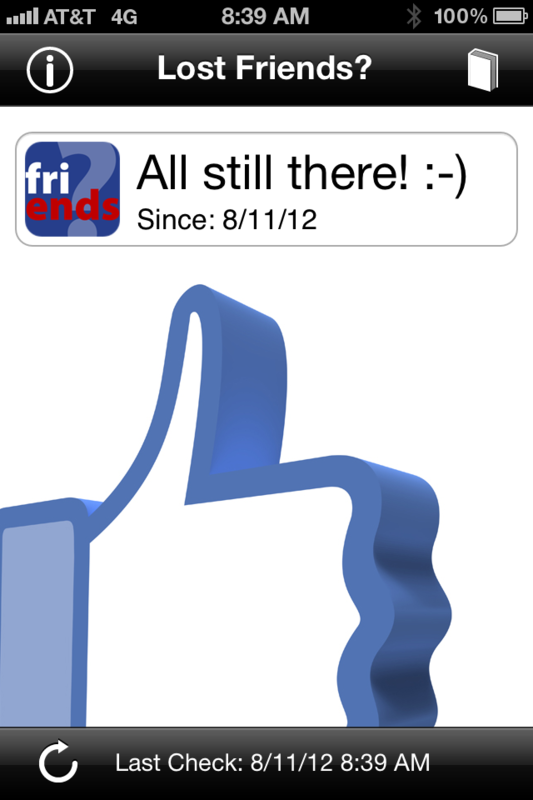 Yesterday 500 friends on Facebook… today 499? I know it’s not a big deal to some, and in many cases it’s just because someone probably deleted their Facebook account, but I personally cannot help from wondering if I pissed someone off when this happens? This time I want and need to know? Do you know if someone has un-friended you on Facebook? Do you know who, why, or care? Facebook does not currently provide a tool or way to determine who or why someone has un-friended you, only a list of ~all friends~ and a total count. Since Facebook is all about friendships, family, social habits, and relationships with other people, why doesn’t Facebook offer a feature like this? Isn’t this a pretty important issue to people? Is sure is to me. Wouldn’t you want to know if you lost an online friend and why? Maybe I’m just being a softy here but I never want to lose a friend on Facebook or in real life. Well, you always hear that “there’s an app for that” and for those curious who un-friended you today, now there’s an app for that too and it’s free. Check it out! 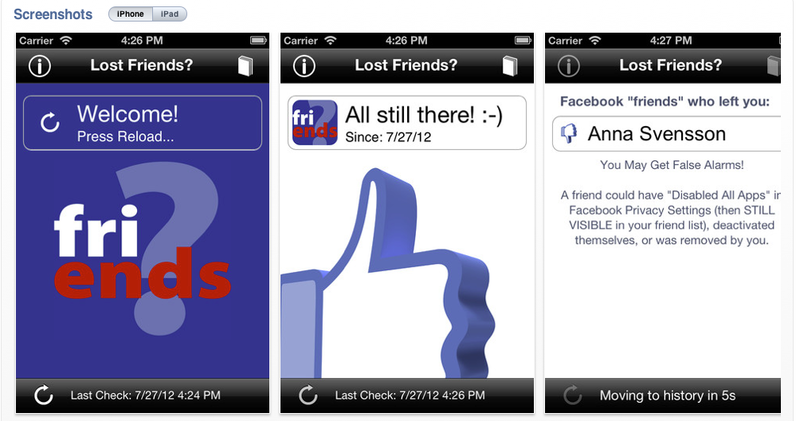 The app is currently available for iPhone and iPad users and it’s called “Lost Friends?” I hope this little app will help you kindle or re-kindle those friendships and personal relationships, or at least be kept aware of those you’ve lost. Maybe Facebook will see this as an important feature to their site and add it one day.